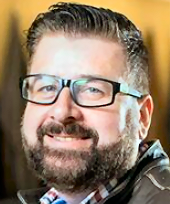 Nik Miles has joined the lineup of KXL-FM (FM News 101)/Portland, OR, with a new, long-form version of "Our Auto Expert." The two hour program will now be available to stations through Envision Networks, in addition to the 45-second "Our Auto Expert" vignette. The program is a behind-the-scenes look at cars, trucks, SUVs and the automotive industry. Content includes pre-release test drives, on-track racing and off-roading of new vehicles available or soon-to-be available at dealerships. The show will also include interviews and information from top executives and car companies. Alpha Media/Portland Talk Stations Operations Manager Bruce Collins remarked, "Nobody knows more about the auto industry than Nik. He is both informative and entertaining. We welcome Nik and his show to FM News 101 KXL." "I am so excited to be working with the country's most forward thinkers in radio," added Miles. "Being live and local every week gives listeners an opportunity to be the first to hear about groundbreaking automotive stories, stay informed and get content right from the manufacturers' mouths." "When it comes to personality and compelling automotive talk, nobody does it better than Nik Miles. We are excited to share Our Auto Expert with the world as part of our commitment to bring the best live & local programming to our listener community," commented Alpha Media Executive VP/Programming Scott Mahalick.